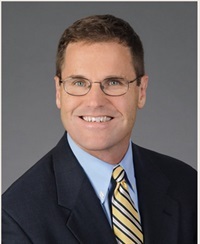 Tom Doran has been with Reagan Consulting since its founding and is a partner of the firm. Tom's areas of expertise include merger and acquisition representation, agency valuation, ownership perpetuation planning, agency valuation enhancement and strategic planning facilitation. Tom is a regular contributor to Reagan Consulting's industry studies and is frequently published in various insurance industry publications. He also speaks on a regular basis to industry trade groups and associations on a wide variety of topics concerning the insurance distribution system. Tom holds an undergraduate degree in Computer Information Systems and an MBA from Georgia State University. He currently maintains the Series 63 and 79 FINRA Registrations through Reagan Securities, Inc., the affiliated FINRA-registered Broker/Dealer of Reagan Consulting, Inc.